Dr. James R. Werkmeister received his dental degree from the University of Pittsburgh, School of Dental Medicine. As a senior in dental school, Dr. Werkmeister received the Quintessence Award for Periodontics. This honor is awarded to an outstanding dental student in the field of Periodontics. Following dental school, he pursued a post-doctoral education in Periodontics from The Ohio State University, College of Dentistry. While at OSU, Dr. Werkmeister received a research grant from the National Institutes of Health. He used this grant to study connective tissue cell biology as it relates to the development of periodontal disease. In 1995, Dr. Werkmeister returned to his hometown in the North Hills of Pittsburgh, with his wife and three children, where he began a private practice in Periodontics. Since his return to the area, he has been active in church and community affairs. 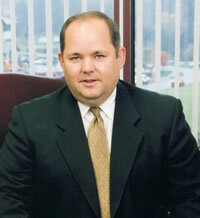 Over the years, Dr. Werkmeister has served as a School Director for the Pine-Richland School District. He is also a member and past president of the Rich-Mar Rotary. Dr. Werkmeister is proud to be co-founder of the Pine Creek Dental Study Club. The study club is made up of general dentists and dental specialists who practice in the North Hills and Cranberry who are committed to continuing their dental education. They meet regularly to discuss current issues and advances in the field of dentistry. Dr. Werkmeister is proud to have been selected as one of Pittsburgh’s Top Dentists by Pittsburgh Magazine every year since 2007. The fact that the recipients of this award are nominated and selected by their peers is what makes this award such an honor. Dr. Werkmeister greatly enjoys working with patients in the North Pittsburgh/North Hills area.